This is a wonderful example of a famous 1960`s/70`s piece made by Christian Linneberg`s Mobelfabrik from a 1962 design by Sven Ellekaer. 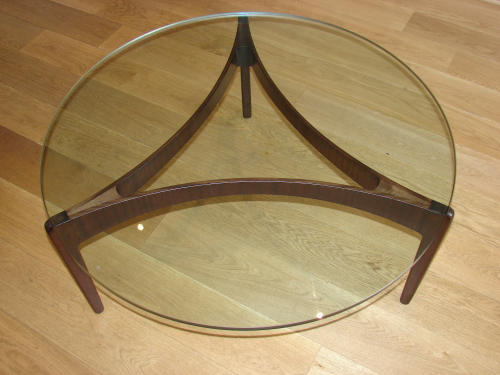 The base is made from rosewood and supports a very heavy 2cm thick plate glass table top. The table is presented in excellent vintage condition with just a few very light surface scratches.